Networks remain fundamental to all communications services but just like every other aspect of the information and communication technology (ICT) ecosystem, networks also need to continuously evolve to sustain its viability amidst digital transformations. The explosion of cloud, real-time communications, machine to machine communication, and IoT demand network services to go beyond the traditional system of connections. Catering to these needs, Epsilon is delivering cloud-centric networking that brings together different communication services on a single online portal. Jerzy Szlosarek, co-founder and CEO, Epsilon says, “We are bringing the characteristics of the cloud to networking. We use orchestration, intelligent on-demand network services, network analytics, and APIs to deliver data and voice services through our Infiny platform.” The outcome is friction-free access to cloud and IX connections, global port-to-port Ethernet, voice services, and last-mile connectivity that replaces inefficient manual processes with a fully automated platform. From a single portal, users can access and add modular apps, thereby ushering a new level of control for service providers, enterprises, and users to communicate globally without any connectivity limitations. Epsilon is receiving a global demand for its “cloud-centric networking,” both from mature markets such as the U.S. and developing markets in Asia and the Middle East. The company expanded its presence in North America with the acquisition of Metcom Network Services, a provider of connectivity and collocation services across the greater New York metro market. Concurrently, data center and connectivity solutions provider in Dubai, Datamena, also added Infiny to their suite of solutions to support the adoption of cloud services locally while enabling customers to connect worldwide, on demand. 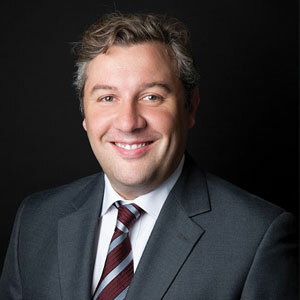 Infiny’s on-demand connectivity platform supports “click-to-connect-provisioning” that, according to Szlosarek, has a user interface similar to that of an e-commerce platform. The connectivity platform can be accessed from a web-based portal, mobile app, or APIs. “There are no barriers to getting started,” mentions Szlosarek. Infiny offers direct connectivity and communications for leading cloud service providers such as Amazon Web Services, Microsoft Azure, Google Cloud Platform and the leading internet exchanges. Epsilon is dedicated to finding newer ways of delivering connectivity to network operators worldwide. In the future, Epsilon envisions continuing its mission of developing and deploying unique cloud-centric networking solutions to emerge as a world leader in software defined communication services enablement.